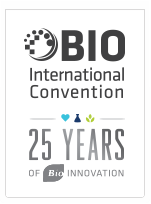 Automated Concept Controls, Inc. (ACC) is pleased to announce that we will be joining the New Jersey delegation at the BIO 2018 International Convention with our Lab Owl™ bioreactor control and information system, held on June 4-7, 2018 in Boston, MA. Our powerful bioreactor control and information system is garnering significant attention in the industry. Stop by our booth at the New Jersey State pavilion, Booth 1721, for a personal presentation of Lab Owl’s innovative features. We are thrilled to be a part of this important event. Contact Kurt at 202-957-4407 or kelam@LabOwl.com for more information or to schedule a demo.